World’s largest aircraft takes to the sky for its test flight over Mojave Desert. 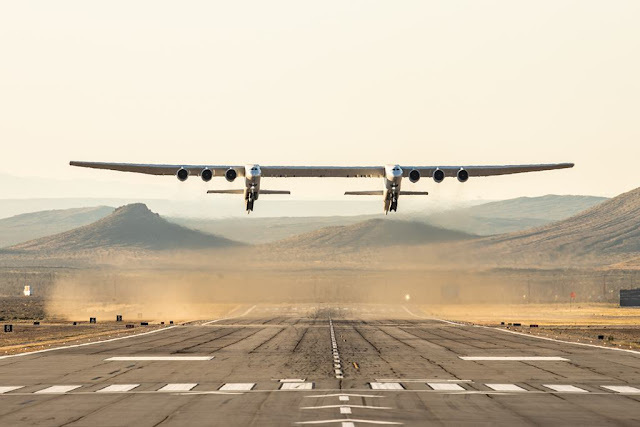 Stratolaunch completes historic first flight. 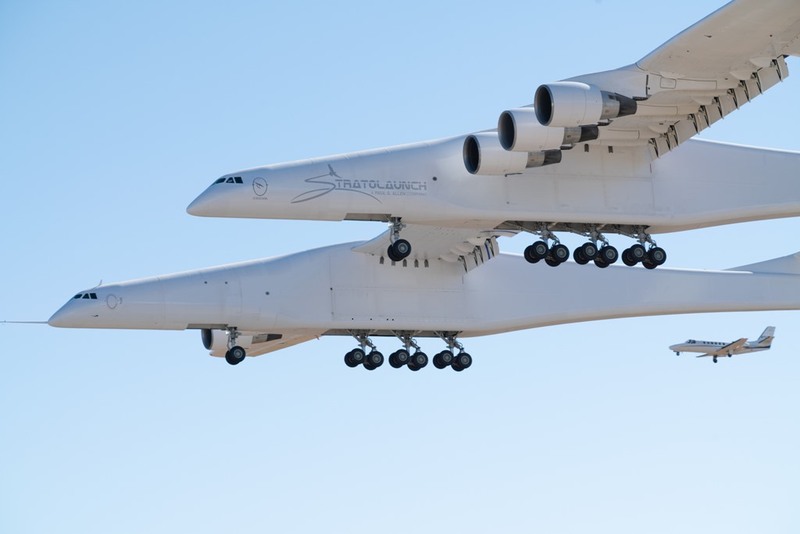 April 13, 2019 – Stratolaunch Systems Corporation, founded by Paul G. Allen, today successfully completed the first flight of the world’s largest all-composite aircraft, the Stratolaunch. 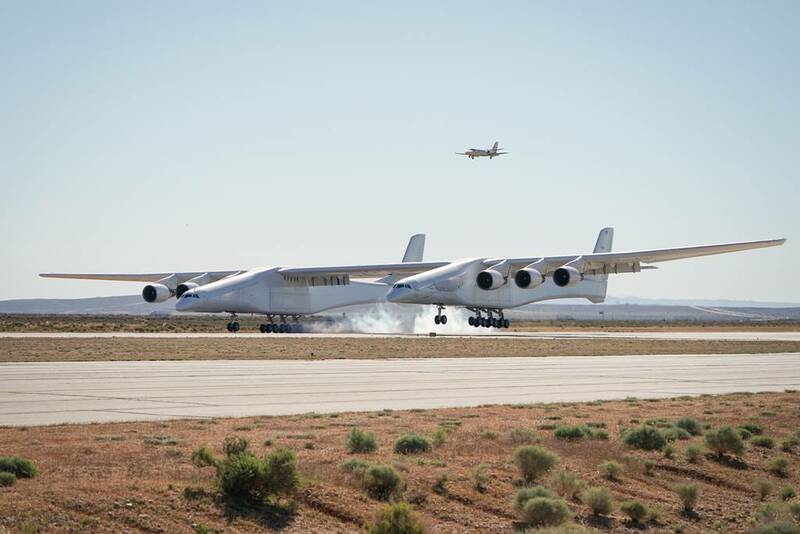 With a dual fuselage design and wingspan greater than the length of an American football field, the Stratolaunch aircraft took flight at 0658 PDT from the Mojave Air &amp; Space Port. Achieving a maximum speed of 189 miles per hour, the plane flew for 2.5 hours over the Mojave Desert at altitudes up to 17,000 feet. As part of the initial flight, the pilots evaluated aircraft performance and handling qualities before landing successfully back at the Mojave Air and Space Port.